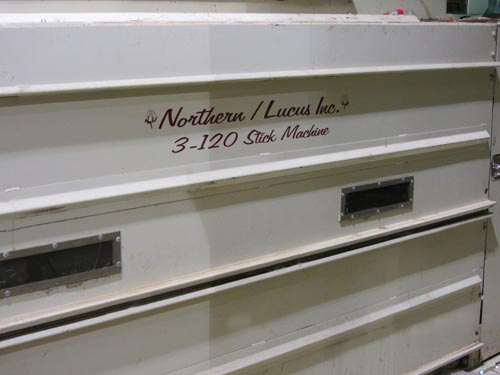 Northern/Lucus Machine, Inc. is a professional cotton gin machinery supplier in Lubbock, Texas. Founded in 1986, we have proudly served the South Plains and beyond with quality gin manufacturing services for over 30 years. Throughout the last two decades, Northern/Lucus has expanded from providing solely lint cleaning solutions to become an area leader in various cotton gin machinery supplies and industrial equipment. It is a simple concept - treat others as we would want to be treated, and to provide exceptional customer service before, during and long after our products are purchased and delivered. We strive to constantly improve our designs, to stay keen on feedback from our customers, and to design, engineer and fabricate machines and other parts with quality and added value. We strive to always conduct ourselves with respect and professional courtesy for all individuals with whom we interact, and enjoy the amazing diversity of the world's ginning industry, across the globe. Northern/Lucus Machine Inc. is comprised of dedicated professionals who take pride in the prosperity of the ginning industry and agriculture, local and abroad. From our management team, comprised of Marty and Lesbia Northern, to the skilled craftsmen that fabricate our parts, we stay true to our mission to accommodate the needs of growers with first-rate cotton gin machinery, parts and supplies. We can provide the tools you need to succeed for everything from new gin equipment installation to parts to refurbishment services. Contact us today to explore how we can help you. Northern/Lucus Machine is your source for gin equipment & parts.